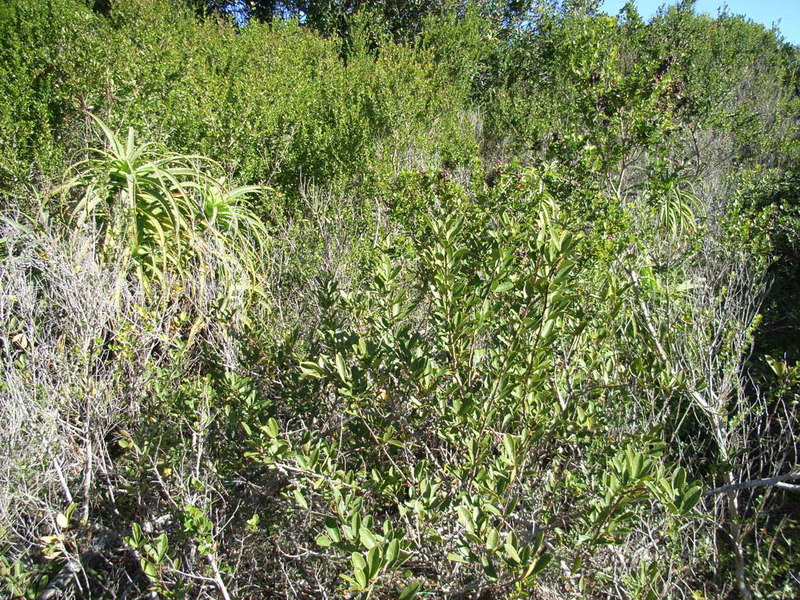 Much branched, multi-stemmed deciduous shrub or small tree occurring in dense stands and on coastal dunes. 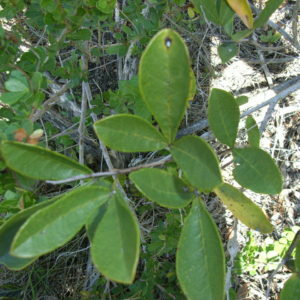 Leaflets widely obovate, to occasionally lanceolate, finely rolled under. Bark smooth, grey brown, with or without spines. Fruit almost round, russet red.